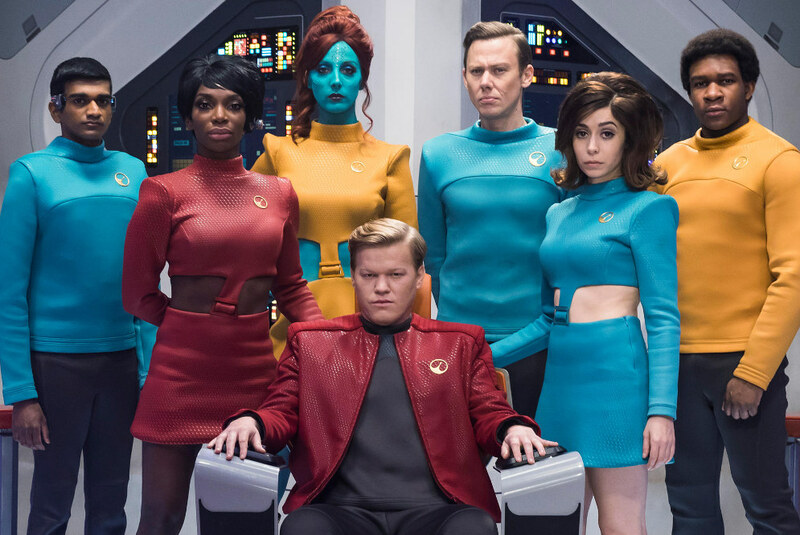 Well, the “USS Callister” episode of Black Mirror boldly went and won a handful of Emmys last week, for its Outstanding Writing (William Bridges & Charlie Brooker), Single-Camera Picture Editing (Selina Macarthur), Sound Editing, and overall Television Movie-ness. Hurrah! It lost out in a couple categories, and wasn’t even nominated in some others, so kinduva mixed bag… though this is the show’s winningest episode to date, as far as I can tell. There are still vague rumours/suggestions about a spin-off series, but nothing concrete as yet. For the record, I’d love to follow the ongoing adventures of the in-game starship crew (especially if they can figure out a way to resurrect Jimmi Simpson), but have zero interest in the “irl” investigation of blokey’s murder. Basically I want a female-fronted Farscape with swearing, please and thank-you. Meanwhile, Game of Thrones won Outstanding Drama Series, and Supporting Actor (Peter Dinklage), as well as a sled-load of behind-the-scenes awards, but none of their female cast members got a look-in, sadly. I didn’t watch the ceremony itself, only a couple clips on YouTube, but did want to give Ilana Glazer and Abbi Jacobson snaps for their hilarious warm-up to announcing the “Outstanding Writing for a Variety Special” award… makes a pleasant change to have presenters who know each other well being intentionally awkward for a laugh, rather than a pair of random strangers reading stilted “banter” from a teleprompter! This entry was posted in Rants about TV and tagged Abbi Jacobson, Black Mirror, Charlie Brooker, Game of Thrones, Ilana Glazer, Jimmi Simpson, Peter Dinklage, Selina Macarthur, USS Callister, William Bridges. Bookmark the permalink.